This article was originally published in the Tribune-Star on June 18, 2017 . Growth in business is a challenge for many companies and realizing constraints is the first step in the process. For many business owners, the Internet is daunting and they fear even the idea of being acquainted with the Internet. Many know that they need to claim a space on the Internet, but are not sure how to move forward with that process. 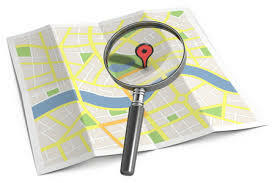 Whether you own a business that provides a service or a product, as a business owner you have a responsibility to your customers to ensure they can locate information about your company on the Internet. This information includes hours of operations, location if applicable, photos, testimonies and much more. Moving a company into an online format involves several steps. Listed below are steps with explanations to guide you through the process. Step 1: Identify your company’s goals and objectives when taking your company online. It does not matter if you are moving your company to a website or social media, what is the purpose you want to accomplish? Step 3: How do you plan to reach your audience? In other words, your market. What methods or platforms can you use? Step 4: What is your message to your customers? How do you plan to engage them and get them to respond back to you with an action step? Step 5: Consistency is critical to success, taking your business online is important and you must be persistent in your message and frequency in which you do it. How often do you want to be online? Remember in today’s society people like information instantly. As you plan your company campaign, remember to keep it simple, engaging and inviting to your customers. Customers like to feel welcome and appreciated. Heather Strohm is a community development regional educator for the Southwest Region of Purdue University Extension. She can be reached at strohmh@purdue.edu.